Being the non-conformist weirdos that we are, a couple years ago we set out to reinvent the 'bakery scene'. We set up a little baked goods stall in a coffee shop in Siglap, which failed miserably within the year. Lesson learned. We pressed on, whisk in one hand, laptop in the other, flour all over our derpy faces. Rebel-bakers with a cause. We took the concept online. 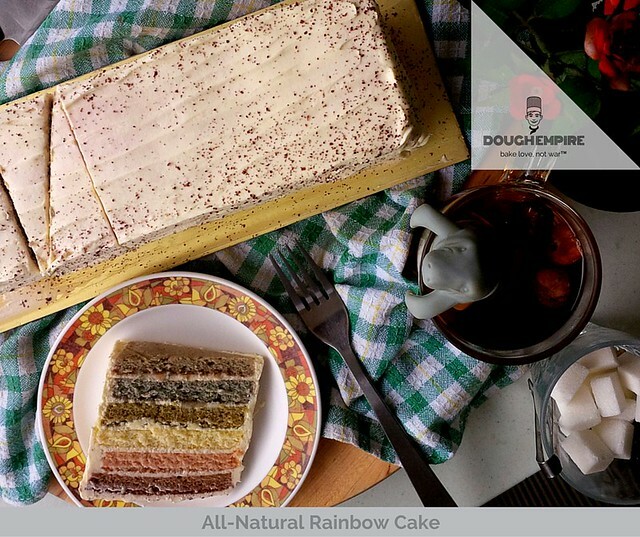 Fast forward many moons and now Dough Empire is a little side project that gives us immense pleasure. At the end of most "rainbows", you'll find a whole lot of artificial colouring and flavouring. We believe that excessive consumption of artificial colouring causes behavioural problems in children. We want to put the proverbial POT OF GOLD at the end of OUR rainbow - that pot of gold being authenticity. 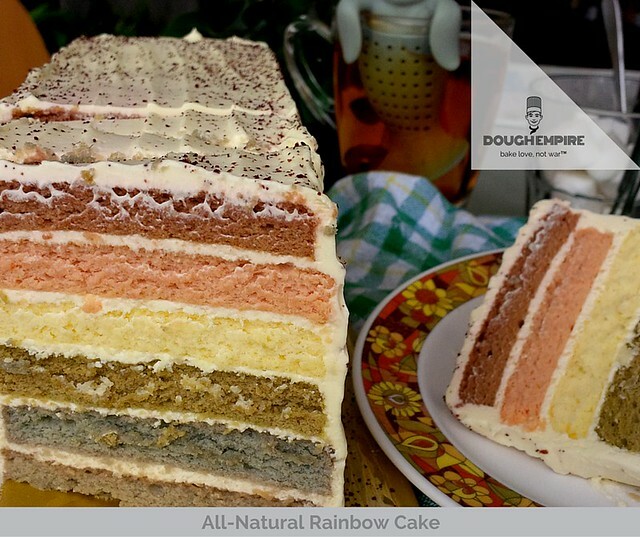 When we created this cake, we set out to find ways to re-create the colours of the rainbow as truthfully as possible. When you look at a rainbow in the sky, the colours are usually hazy, sheer, translucent. 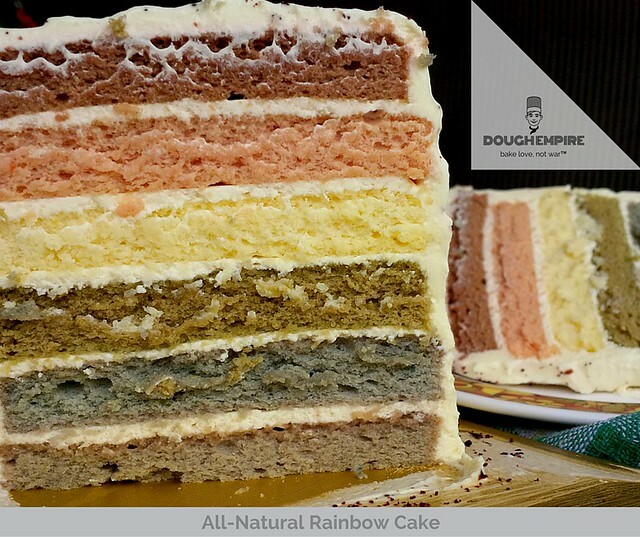 And thus, our All-Natural Rainbow Cake was born. No artificial colouring & no synthetic flavouring used here. You'll find six pastel layers patiently & gently dyed with our handmade purées of blueberries, matcha, tomato, citrus zest, lemons, and beetroot, each layer frosted with our own unique, housemade yoghurt cream cheese recipe. THE COLOURS ARE VERY, VERY GENTLE - gentle to your eyes, your belly and your soul - because it's all natural. They are not lurid, and they do not look like neon lights. Taste the difference, be good to yourself, because you deserve the REAL stuff. If you can't mail a hug, this is the next best thing. 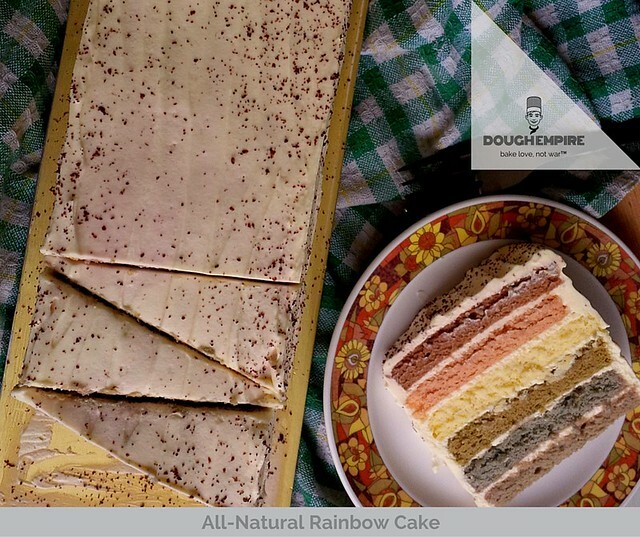 Wholesome, thoughtful and delightfully personal, this cake is like sending love by the slice. Order online from wherever you are in the world. We deliver throughout Singapore.